Seagrass populations have been declining globally, with changes attributed to anthropogenic stresses and, more recently, negative effects of global climate change. We examined the distribution of Zostera marina (eelgrass) dominated beds in the York River, Chesapeake Bay, VA over an 8-year time period. Using a temperature-dependent light model, declines in upriver areas were associated with higher light attenuation, resulting in lower light availability relative to compensating light requirements of Z. marina compared with downriver areas. An inverse relationship was observed between SAV growth and temperature with a change between net bed cover increases and decreases for the period of 2004–2011 observed at approximately 23 °C. Z. marina-dominated beds in the lower river have been recovering from a die-off event in 2005 and experienced another near complete decline in 2010, losing an average of 97 % of coverage of Z. marina from June to October. These 2010 declines were attributed to an early summer heat event in which daily mean water temperatures increased from 25 to 30 °C over a 2-week time period, considerably higher than previous years when complete die-offs were not observed. Z. marina recovery from this event was minimal, while Ruppia maritima (widgeongrass) expanded its abundance. Water temperatures are projected to continue to increase in the Chesapeake Bay and elsewhere. These results suggest that short-term exposures to rapidly increasing temperatures by 4–5 °C above normal during summer months can result in widespread diebacks that may lead to Z. marina extirpation from historically vegetated areas, with the potential replacement by other species. We gratefully acknowledge field and laboratory assistance by B. Neikirk, J. Goins, S. Snyder, V. Hogge, A. Miller, R. Wright, B. Haywood, D. Tulipani, A. Knowles, and J. Austin. Sincere thanks to J. Jarvis and R. Orth for in-depth discussions and review of the manuscript. Funds for this project were provided by the Estuarine Research Reserve Division of the National Oceanic and Atmospheric Administration and the Commonwealth of Virginia. This is contribution no. 3300 from the Virginia Institute of Marine Science, School of Marine Science, College of William and Mary. National Estuarine Research Reserve System. 2012. System-Wide Monitoring Program. http://www.nerrs.noaa.gov/RCDefault.aspx?ID=18. Accessed December 12, 2012. 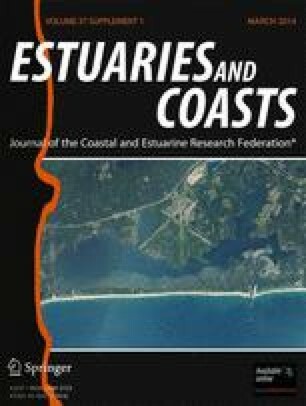 Virginia Estuarine and Coastal Observing System. 2012. www.vecos.org. Accessed 11 November 2012.